Mevo Park Hotel is a Mini Pod, with two Mevos in permanent residence. Access is via the Park Hotel driveway off the Terrace. There are no Mevo chargers installed at this Pod yet, as it's very new. Taxi: Use "101 The Terrace"
Walk: The Mevo app sometimes gets confused with walking directions to this Pod. Simply head to the Terrace and look for the Park Hotel and Sterling near Woodward St. Lift via Lambton Quay: During business hours, you can use the Park Hotel lift on Lambton Quay to access the Pod. Enter using the Park Hotel entrance on Lambton Quay using the green "door open" button on the left, then walk to the end of the corridor following the signs for the Park Hotel Reception. 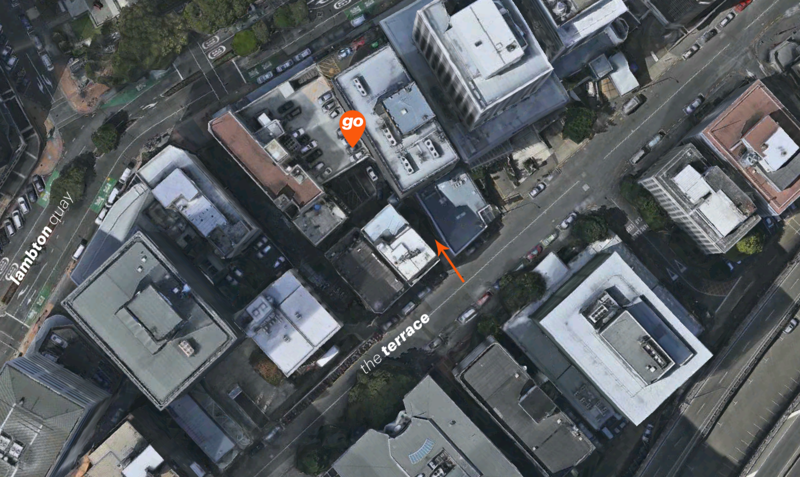 Take the lift to L3, and exit onto the Park Hotel driveway using the door directly to the left of the reception desk. The Park Hotel team can assist, if you lose your way. When you arrive at the Park Hotel, walk up their driveway (pictured below) and turn left at your first opportunity. You should be standing in the open-air rooftop carpark. You'll find the two Mevo parks along the Hotel side, about half way down. Exit the carpark by taking a sharp 180 degree right turn down the driveway which you used to enter. Please be very cautious as you exit, as pedestrians may not see you. Access from the north or south ends of The Terrace. Drive down the Park Hotel driveway and take a sharp 180 degree left turn when you reach the end of the drive. 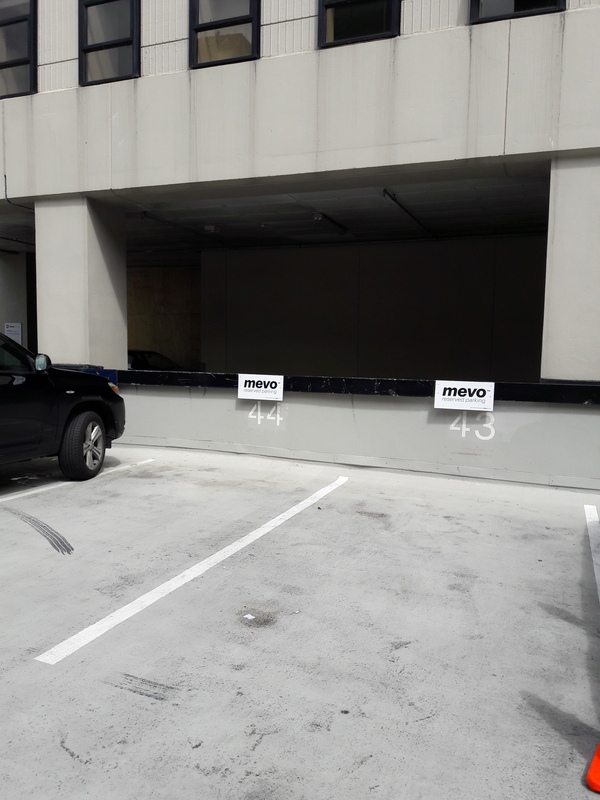 Do not drive down the ramp, or use any parks other than the ones designated "Mevo Reserved"